Ah, the digressions. 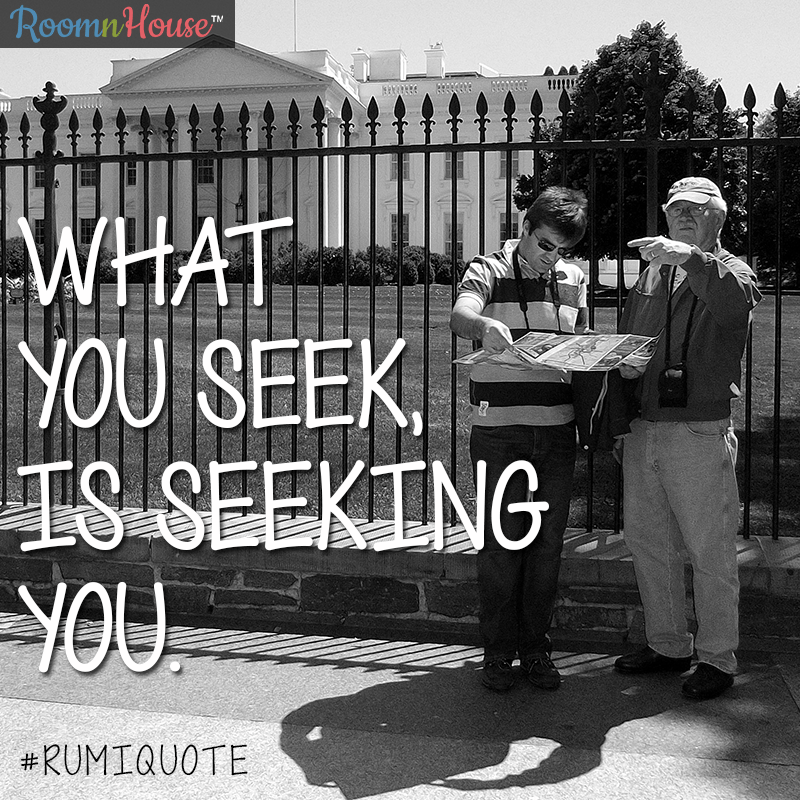 Today’s post is about 5 quotes by Rumi, which sum up everything there is to know about travel. #1 Don’t hold off on your travel plans for the lack of company. You are enough. You are your best companion. #2 If you find yourself in a potentially dangerous situation, call for help, and until help arrives, DON’T FREAK OUT. Always remember, fear blocks out common sense and alertness, it makes you clumsy and practically bait for more trouble. So when you think you can take charge of a situation, do it. #3 The destination is whatever and wherever you want it to be. Weird as it may seem, it actually is true. The buck stops where you do. So believe him when he says that the destination you seek, is also seeking you. You make it what it is, by giving value to it. Every place I believe, is meant to be a destination, its only a matter of time before someone chooses to change the title. When the strange feeling to explore the path lesser trodden on, tickles your insides, follow it. So maybe you’ll feel a little lost on the outside, but you’ll definitely have a sense of direction, a purposeful step, your inner compass will find it’s own direction. Even when you can’t. #5 Whether it’s checking out a museum, or art gallery. Singing your lungs out at a Karaoke bar, sky diving, trekking or staying back at a local cafe to just sit there and read – GO FOR IT. Because that’s what you want to do. Of course traveling in groups can make that a little difficult, but even if the odds are against you, curve away a little every now and then. Do something because you want to, and not because you think people perceive you in a certain manner (as in they’ll like you better) if you adhere to doing something you secretly hate – like being an outdoorsy person but being “okay” with being stuck inside or vice-versa. # 6 Travel is not just about traveling on the outside, it’s also about traveling on the inside. Sometimes we do both, without realizing it and other times, we can’t do either, no matter how hard we try. Sisterhood of the traveling hairdos!